My paintings are a combination of caprice and control. Fracture is important. Random marks, sloshed paint, or a scratched surface can be as significant as the carefully rendered. The scribble and the refined. A conservationist and Honolulu native of Lebanese and Filipino ancestry, Chimera's works contemplate our human role in globalization and its effects on our cultures and the environment. Chimera has exhibited across Hawaii, the U.S., China, the Middle East and is the recipient of local honors, awards, international grants. Christina DeHoff has many facets as an artist. A clear and recognizable theme runs through both her figurative visionary paintings and her landscape paintings. That theme is soulfulness. One can feel the presence of grace and love in her depiction of heart expanding oceans, sensual rolling hills and dream filled skies. The same emotions are equally potent in Christina’s figurative paintings. She has a unique, tender and intuitive way of communicating that which is sacred in this human experience. If your life has been a journey of following your heart and trusting in divine guidance you will be moved by the art of Christina DeHoff. Nature and the outdoor world are Tracy’s main inspiration for her calm and thoughtful works. The glimpse of a twisted uprooted tree, patterns formed by the wind, water currents and the ever inspiring waves provide almost endless creative material. Colors and patterns, often unexpected, combined with skillful rendering invite a path to viewing the natural world with a unique focus. Tracy currently paints with oils, acrylics on canvas or wood panels and the occasional watercolor. She also works in many forms of original printmaking including hand pulled color lithographs, aquatint etching, woodblock and mono printing. Betty Hay's perception of Hawaii is unlike that of any other artist. She began her painting career on location and continues to paint in plein air. Betty Hay spends considerable time exploring all of the Hawaiian Islands. She is Hawaiian/Caucasian with a notable Hawaiian ancestry. Many collectors feel that special insights and emotions experienced in viewing her art are due to this Hawaiian heritage and her passion for Hawaii. Her paintings bear a sensitivity that comes from her uninhibited familiarity with the land. Many of her works provide an archetypal view of the “untouched Hawaii.” Her gift is not so much with realistic portrayal, as with feeling and intrinsic qualities. It is said that her value as a chronicler of passing eras will be inestimable. For me, the deeper meaning in what I paint, lies in my passion to preserve the Maui I discovered when I came "home" in 1981. The greens are greener here, the ocean bluer, the skies full of drama and light . . . but the true Maui is in the kama'aina, the kupuna who are leaving us. They are the spirit behind the word "aloha," they are teaching me to see. I hope to continue learning to view Maui not only through the eyes of an artist, but through the aging eyes of her beautiful people, and that I may one day come close to adequately saying with color and shapes that which I have "no words for." Call me to make an appointment to stop by my Haiku, Maui studio - visitors are always welcome! Anna Good creates a romantic world of color and light; texture and beauty. Her paintings of scenic gardens and floral pathways convey a romantic view of the world she sees around her. Her unique palette knife layering technique of wet paint on wet paint gives her art distinctively rich texture and color to enhance its ethereal qualities. This romantic vision of life is a dynamic and evolving one that Anna has sought to share. Kihei studio visits by appointment, please call to inquire. My creative focus is to convey the poetry of Hawaii. I am inspired to paint moments and capture them with passion and spontaneity. Beauty is said to follow the soul, be a friend of nature and lover of truth. Anna Keay does just that, bringing her experiences of beauty directly to the canvas. 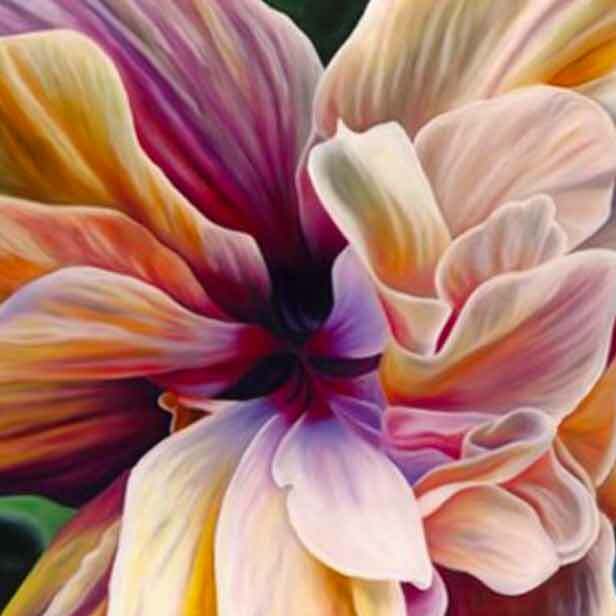 Finding that unique detail in nature, that lustful scent of each petal, delighting the eyes and soothing the soul, Anna's paintings perfectly capture natures magic. Anna and her husband, glass artist John Lindquist, recently opened their own studio gallery in Lahaina called Kai Pua. You can meet Anna most days at Kai Pua and see live demonstrations daily. Diana Lehr is a visual artist working in multiple mediums, including painting, video, light projection and photography. Light and motion trigger her imagination, providing inspiration. Diana started out focused on landscape painting - eventually moving into video to record the movement in her subject matter. Stalking the ephemeral, she explores natural phenomena. Her work brings into view things that often go unnoticed, hidden in plain sight, in a such a way that our perception is altered, because the viewer is often not sure what is being seen in her art. Her work was featured at the Vision LA film festival in Los Angeles and exhibited in New Orleans, San Diego, Philadelphia, Seattle, NYC, and Honolulu. She was educated at the Pennsylvania Academy of the Fine Arts. Koprowski's dynamic original oil paintings depict the exaggerated female form with a mix of representation and abstraction. The addition of butterflies and the circle and xo symbolism (hugs and kisses, yoga balls, landscapes and the female anatomy) have become a playful and provocative element in her current work. Lori's work has been internationally exhibited from New York to Australia and in private and corporate collections around the world. It's not often that two individual artists are able to combine and express their talents to produce a single body of work. 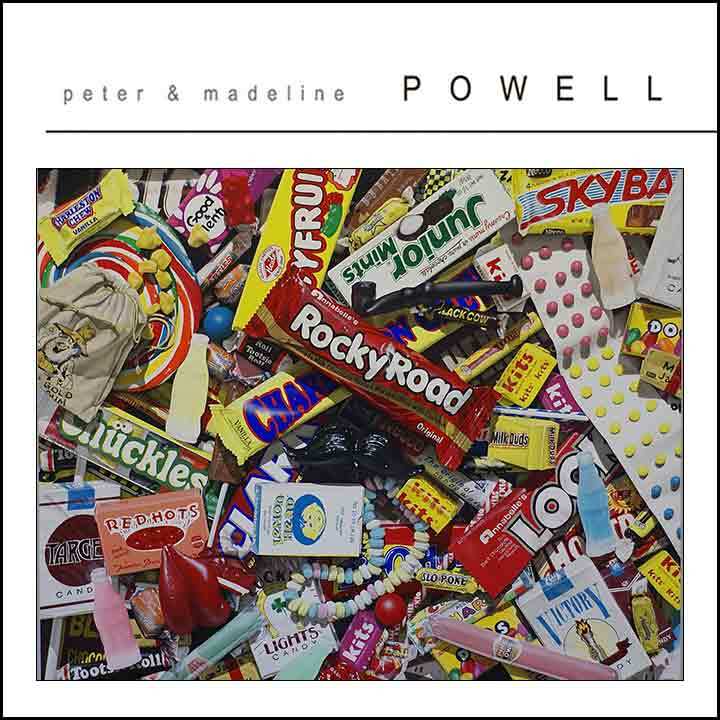 Peter & Madeline Powell have this rare creative alliance. Essentially, painting is a solo endeavor, yet the Powell's have accomplished a seamless blend of unity in their work. Peter & Madeline are artists who have wed exacting technical photo realism to the sensual memories of one childhood's most pleasurable activities: Eating Candy! Not only getting it, but holding it, looking at it, and unwrapping it - the smell, touch shape & taste of it all come strikingly through the dramatically over-sized images of Hershey Kisses, Bazooka Bubble Gum, M&M's & lollipops - to name a few... The Powell's also cover other subjects, most notably Toys, Crayons, Cars & Food. No matter the subject, the viewer is pulled into a bursting world of form and color. Robena's paintings range in subject matter from elegant florals and landscapes to figures and still life. No matter the subject, each lush work of art embodies her spirit and passion for life and capture a precious piece of Maui. Flow painter Eva Roberts believes that form follows consciousness. All that is visible appears through a refraction of the invisible, like the colors of a rainbow appearing from white light. In her studio process, Roberts discovers patterns in the splendor of liquid paint as it seeps from possibility to presence. She is fascinated by the idea that, in the whole universe, light is the only substance moving at a constant velocity. 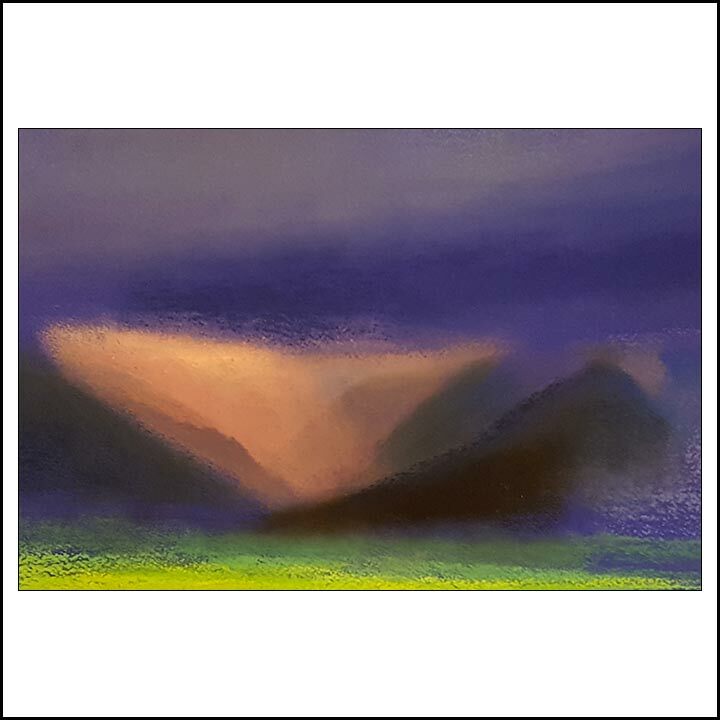 Roberts paints for that moment of radiance when a painting glows in synchrony with the stillness of its own light. Her watercolors, oils and mixed media paintings radiate the luminous vitality of plants and landscapes. Shape and movement are important elements of her original designs. Her compositions in color theory give unity to her strong body of work. Luminous abstracted landscapes with the flow of a watercolor and the rich colors of an oil painting. Sometimes tranquil other times bold the paintings explore the familiar and the unknown. Exhibiting Wednesday's Four Seasons Wailea upper lobby 5pm-10pm, Friday's Four Seasons Wailea lower lobby 8am - 1:30pm, Saturday's Wailea Beach Resort Marriott Wailea lobby 8am-2pm. Specializing in contemporary paintings with an emphasis on unique surface and design. Schwartz creates abstract paintings on panel and paper. Kula showroom visits by appointment. One of Hawaii’s acclaimed artists for 25 years, Michael’s wish is to share the primal beauty of island life. A self-trained artist, he began his career painting sand dollars collected while diving in Florida and selling them in his native Oklahoma. As a teen wandering the South Seas, Michael became fluent in traditional Polynesian culture. The islanders taught him how to fish on the reef, climb coconut palms and survive in the jungle. His primitive lifestyle was a major influence in his art. Once you connect with his art, you’ll find that no one does the islands quite like Michael Stark. The excitement and joy of being fully present and experiencing all the vivacity of life is what sparks my creative fire. My work is a celebration of life, it's me embracing the exhilaration of facing my epic adventure as part of this universe. An insuppressible passion combined with years of intensive study and skill development under modern day masters results in paintings that are often a combination of two extremes; an uninhibited, abstract dance of color supporting classically painted subjects. Showing every Thursday 5pm - 10pm at the Four Seasons in Wailea. Represented by Turnbull Gallery, Maui Hands, Village Galleries, and Gottling Home Store. Studio visits by appointment, please contact me to arrange a time.